Shell Malaysia introduced Lego models promotion since 8 November 2012. Those 6 car models are limited edition and collectible Ferrari models made from Lego. The 6 exclusive models are Ferrari 458 Italia, 250 GT Berlinetta, 150° Italia, Scuderia Ferrari Truck, FXX and F40. Lego minifigures set is also available to be collected. Anyway, you may already collecting it. The Lego models are capable of performing a minimum of 300 pulls, propelling a 30g vehicle a minimum of 2 metres. The “micro-propulsion” motor is powerful enough to drive each pocket sized at high speed. 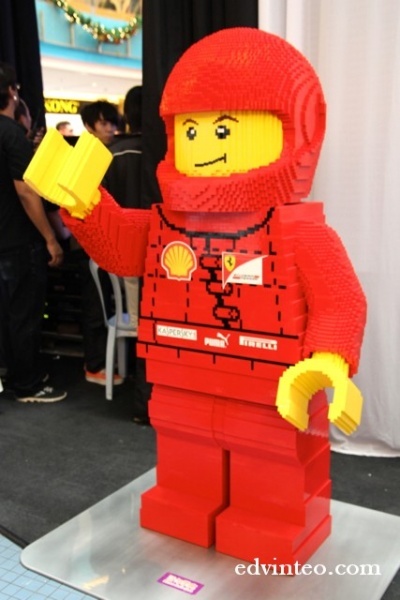 Today on 24 Nov 2012, Shell Malaysia held a special event this weekend at the Blue Concourse of Sunway Pyramid Shopping Mall to show off a life-sized Ferrari 150° Italia made from Lego bricks. According to Shell, this massive Lego model took approximately 6 months to design and built by a team of Lego experts. 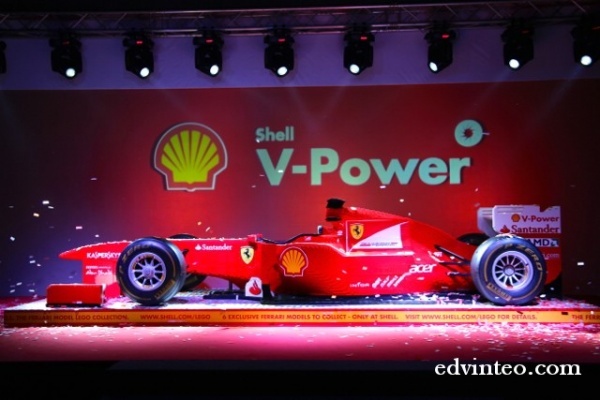 At the same time, Shell launched the additional three Lego models – Scuderia Ferrari Truck, Ferrari F40 and Ferrari FXX. It will be available in all Shell stations in Malaysia from 29 November 2012 onwards. You can purchase the Lego car model at RM12.90 each by presenting your Bonuslink card. Conversely, if you fill up RM40 worth of Shell V-Power and you can purchase up to 3 Lego car models or the Lego Minifigures set at only RM10.90 each. This promotion is valid while stocks last.